Canadian filthmongers Dopethrone are about to release their latest album ‘Hochelaga’ via independent label Totem Cat Records. 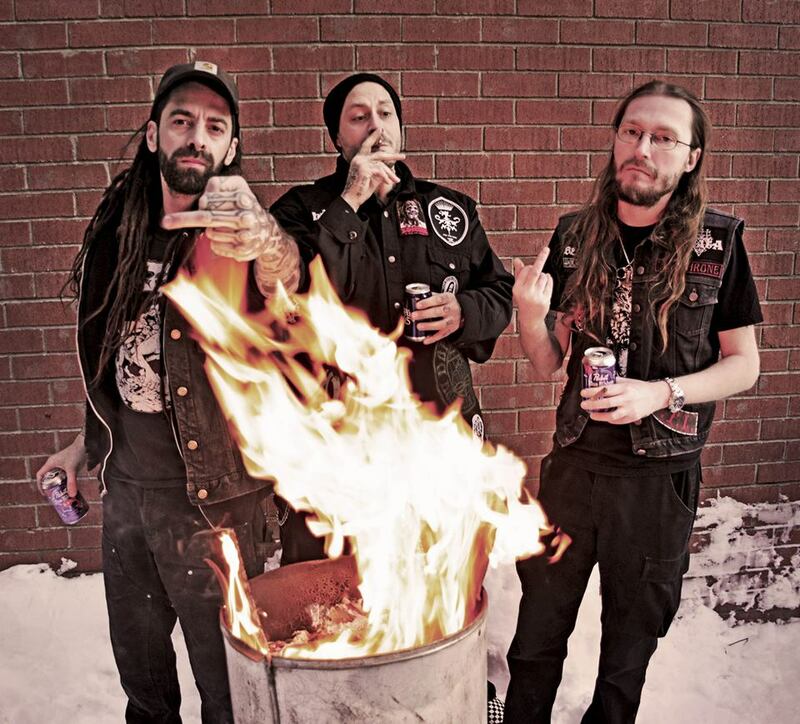 Band members Vincent (Vocals /Guitar), Vyk (Bass) and Carl (Drums) have named their fourth album in honour of their ghetto stronghold in Montréal and the album promises to be their heaviest yet from one of North America’s filthiest weed-infused doom acts. Given that the have the warning “Get whatever substance you may need ready, hide your daughters: they’re back…” you can guarantee there will be plenty of heavy, sludgy riffs drenched in fuzz. With the bleakness of black metal, the vocals are harsh and demonic as Dopethrone take over doom and view it through a crusty lens taking it to new heights of sonic filth. Releasing their debut LP “Demonsmoke”, the band followed up with “Dark Foil” via Totem Cat Records, before releasing their third album “III”. ‘Hochelaga’ will be their fourth album which is a heavier and much thrashier full-length album. In support of the new album, Dopethrone will be playing a couple of heavy festivals this spring, plus some club shows in the rest of Europe. The band will also perform at DesertFest in London and Berlin, and Heavy Days In Doomtown, Copenhagen. They will also make their very first appearance in Los Angeles for a special performance in November. More dates to be announced soon, including North American dates.